This timeline was originally created by Paige Meszaros in 2004 for the Centennial Campus 20th Anniversary. It has been subsequently updated by NCSU Libraries staff. 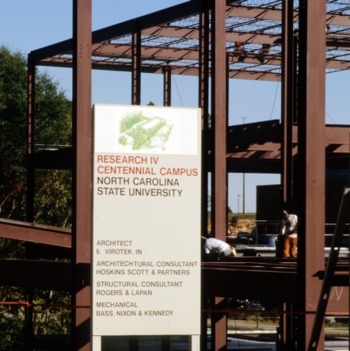 NCSU developed research centers (precursors to Centennial Campus project) to encourage government and private funding for university. Governor James B. Hunt gives series of speeches about the importance of state funding for biotechnology, microelectronics, and a school of textiles for NCSU. North Carolina Governor (and NC State alumnus) James B. Hunt, Jr., alloted the initial 355-acre parcel of land for the university's Centennial Campus. The land had previously been part of the Dorothea Dix hospital. 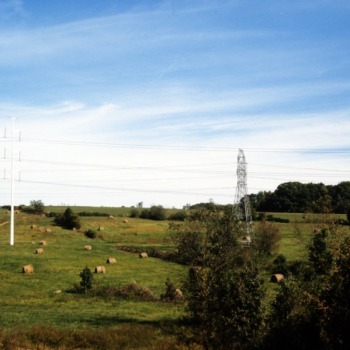 An additional 450 acres was allocated from the State Farm Operations Commission by Governor Jim Martin's administration. 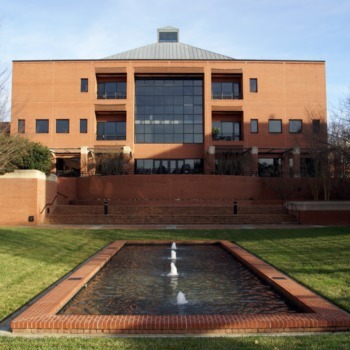 UNC Board of Governors approved the request of NCSU Board of Trustees for permission to hire a firm to develop a Master Plan for the new property. NCSU Board of Trustees selected Carley Capital Group as the Master Planner/Development Adviser to project. 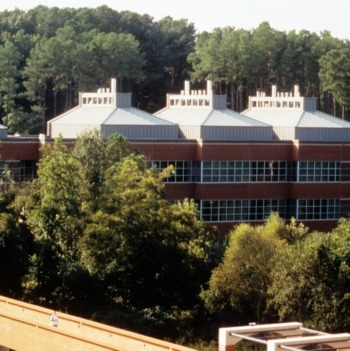 NCSU helped charter the Association of University Related Research Parks (AURRP). A 1.4 acre lot (formerly site of H.B. Harris house) was purchased by NCSU Endowment Board of Trustees for Centennial Campus. 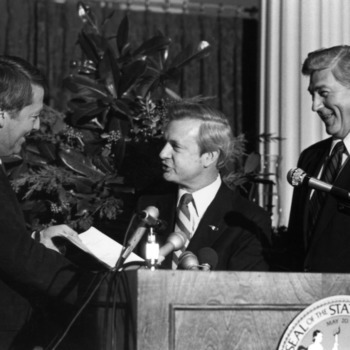 After a site had been selected in Nov. 1986, ground-breaking began the following Jan.
UNC Board of Governors approved Land Use Master Plan. Faculty and administration of the College of Textiles voted unanimously against moving to Centennial Campus. 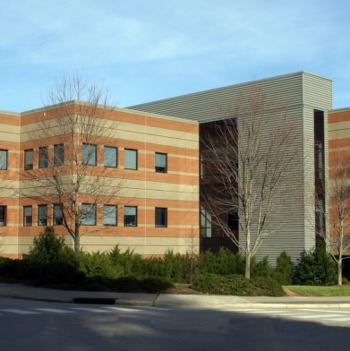 The NCSU Endowment Board of Trustees purchased a 2.5 acre parcel of land from UNC-Greensboro. Land totaling 118.9 acres was exchanged with the North Carolina Department of Agriculture and reallocated by the Council of State. The Governor and Council of State conducted a formal review of the Master Plan for the Centennial Campus. Both parties unanimously approved and adopted the plan. An additional 75 acres was purchased by the NCSU Endowment fund from the Catholic Diocese of Raleigh for $7.5 million (other small purchases and land trades eventually raise total to 1,000 acres). In Feb. staff first occupied the Precision Engineering Center in Research I, the first Centennial Campus building, In Apr. the building was dedicated. Ground was broken for the College of Textiles complex, an estimated $31 million. After a site had been selected in Apr., the design contract and document for the Center was then approved in June. 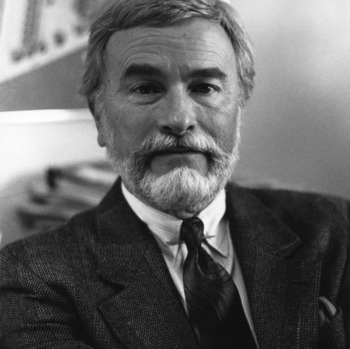 Claude E. McKinney left his post as Dean of the School of Design at NCSU and became the Special Assistant to the Chancellor for the Development of Centennial Campus. NCSU Endowment Board of Trustees purchased 75 acres of land from the Catholic Diocese of Raleigh. 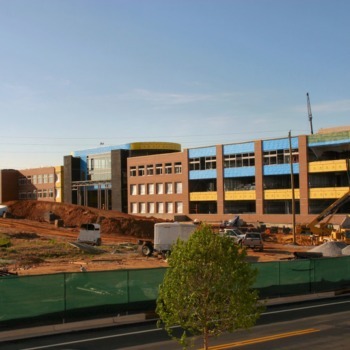 The NCSU Endowment Board of Trustees purchased 2.1 acres of land from Eastman Development. The Centennial Campus Management team was dissolved as the project grew. 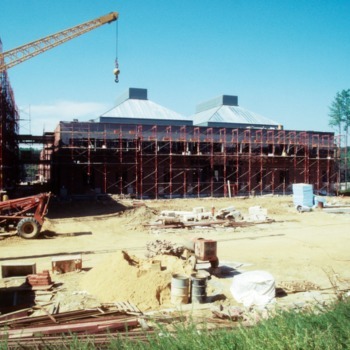 After a site had been selected in Nov. 1988, ground was broken for Research Building II in Feb. 1990. 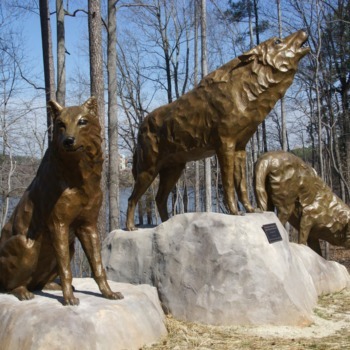 Centennial Parkway was approved by NCSU, NC Department of Agriculture, NC Department of Transportation, DCH, and NC Department of Human Resources. The Environmental Impact Assessment was approved by the Department of Environment and Natural Resources. Asea Brown Boveri (ABB) Power Transmission Technology Institute submitted a letter of intent to NCSU. 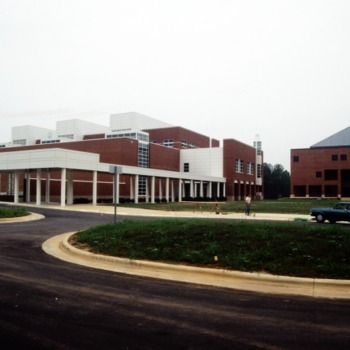 8/1990 Wolfline adjusted its routes to include Centennial Campus. 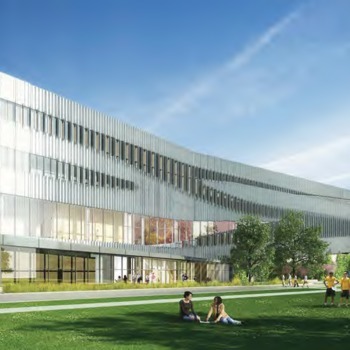 After a site had been chosen in June, construction on the ABB building began in Dec.
National Weather Service confirmed the lease contract with Centennial Campus for new Forecast Office in Research Building III. 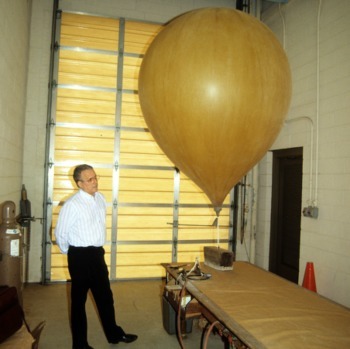 7/1991 ABB became first corporate tenant at Centennial Campus. The city of Raleigh annexed part of the Centennial Campus property and the adjoining Trailwood Knoll neighborhood in order to comply with new zoning needs. 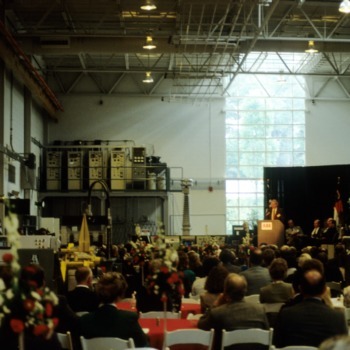 6/1992 Dedication of ABB’s 70,000-sq. ft. Transmission Technology Institute. At the corner of Western Boulevard and Gorman Street, the Alumni Centennial Gateway is a steel wall 18 feet high and 128 feet long, marking the entrance to the western part of campus. 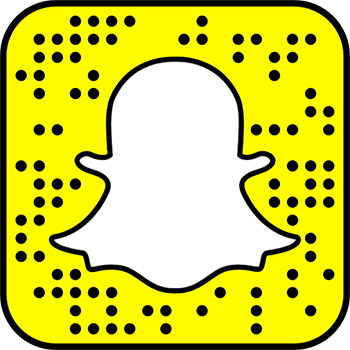 Chancellor Larry Monteith ordered development of a new Master Plan in the face of slower than expected growth. After the site had been chosen in Apr. 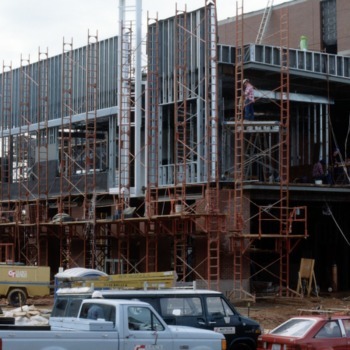 1992, construction on the building began in Feb. 1993. $310 million in university bonds were approved by North Carolina voters; $35 million earmarked for NCSU’s Engineering Graduate Research Center. 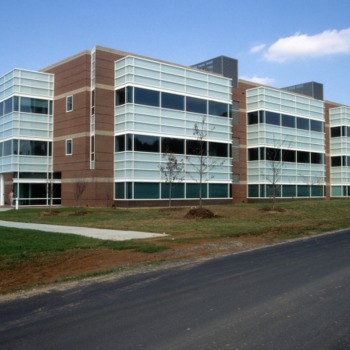 The National Weather Service established a Forecast Office in Research Building III and became the first government partner at Centennial Campus. After staff had moved in during Jan., the building was dedicated in Sept.
Department laboratory space expands to occupy part of the Constructed Facilities Laboratory on Centennial Campus. The laboratory became a hub of collaboration between the Civil Engineering department and private and government entities, to develop and evaluate the performance of new products and innovative structural systems. 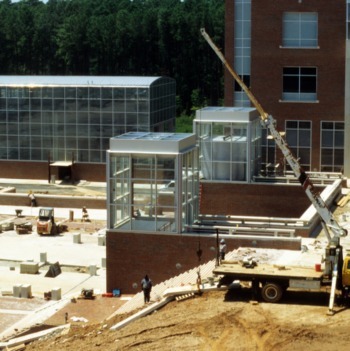 The facility included an environmental chamber used to test large-scale structural components subjected to severe environmental conditions, such as salt spray and extreme temperatures, and a shake table to examine structures under simulated earthquake conditions. 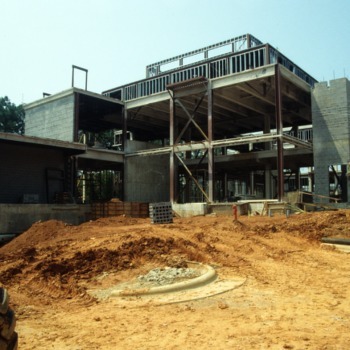 After construction had begun in Aug. 1995, staff moved into the building in January 1997. The 1.9 miles Centennial Parkway access road opened at a cost of approximately $5 million. Development of the North Shore condomium community began. 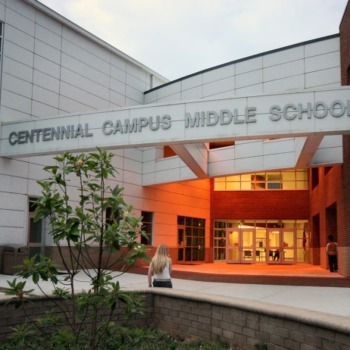 After construction had begun in 1997, the Centennial Magnet Middle School opened in Aug. 2000. 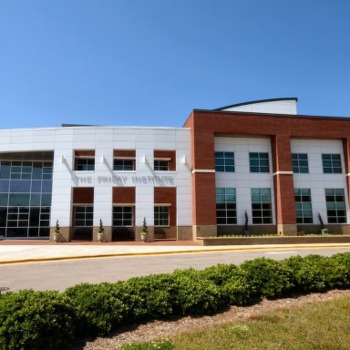 This building was funded through the Bonds for Education program. 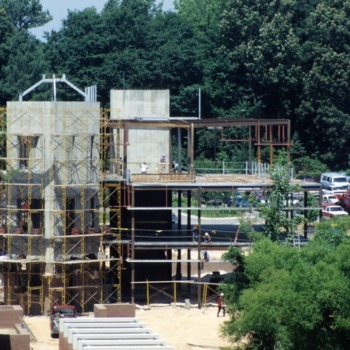 A history of the first 20 years of Centennial Campus was commissioned by the Centennial Campus Partnership Office. 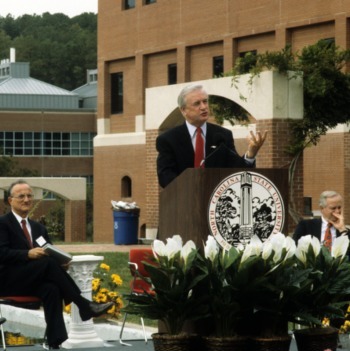 The Engineering Graduate Research Center was renamed after Larry Monteith, chancellor of NC State from 1989 to 1998. 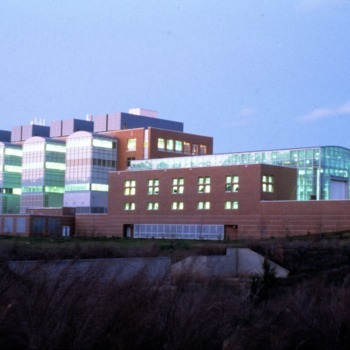 The Golden LEAF Biomanufacturing Training and Education Center (BTEC) was established on Centennial Campus. The facility allows for simulation of biopharmaceutical products and packaging in a sterile environment. 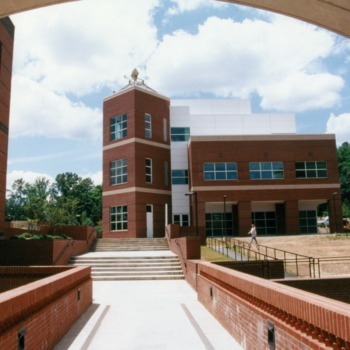 The Center, originally called the Centennial Science Center, houses the FREEDM Center, as well as office and lab space. It is on Centennial Campus. 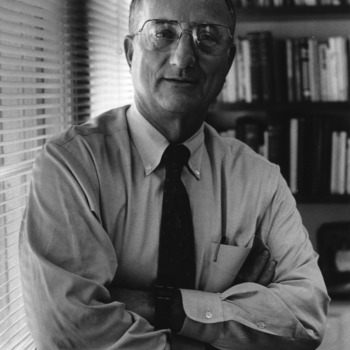 Poole was founder of Waste Industries USA, and he contributed $3 million to the project. A groundbreaking ceremony initiated construction of the James B. Hunt Jr. Library. 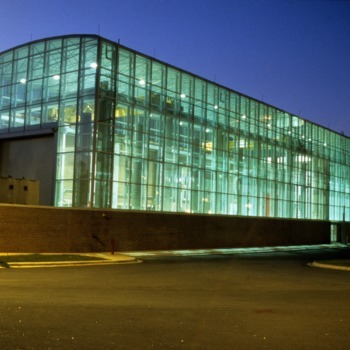 This building was built with 80 labs and 2 wind tunnels, and it had the first green roof on Centennial Campus. 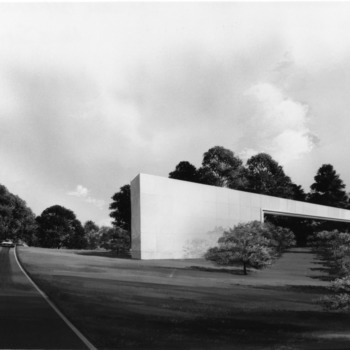 The new chancellor's residence replaced the one on Hillsborough Street, which then became the Gregg Museum. 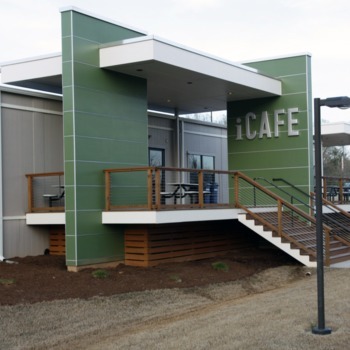 The Innovation Cafe provides Engineering and Textiles students with a new eating option. 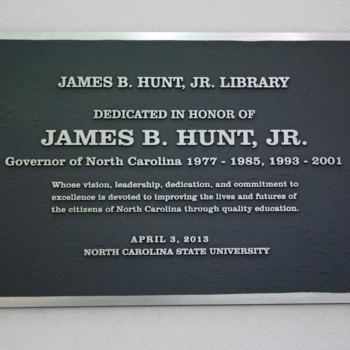 The library was named in honor of former four-term N.C. 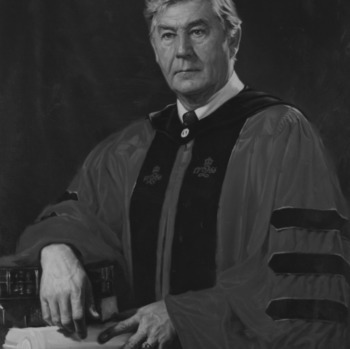 Governor and NC State alumnus James B. Hunt Jr. Also housed in the building is the Institute for Emerging Issues. Research Building I was renamed after Bruce Poulton, 10th chancellor of NC State (1982-1989). The university had acquired Centennial Campus during his term in office. 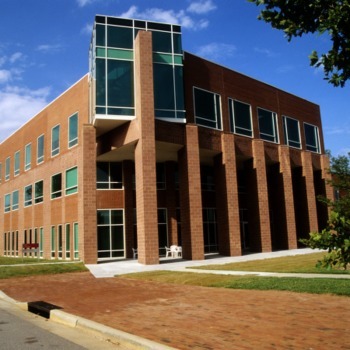 LexisNexis moved its Business of Law Software Solutions Division to the former Red Hat building. 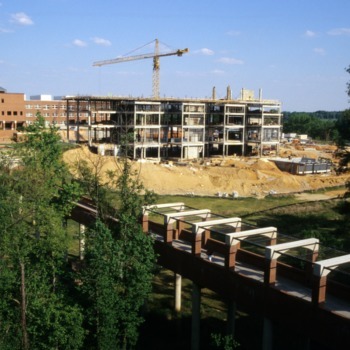 The six-building complex was built to accommodate approximately 1,200 graduate and upper-division students, and it was the first LEED-certified residence hall at the university. Immediately after dedication, the James B. Hunt Jr. Library won the American Institute of Architects and the American Library Association Building Award. It later garnered many additional prestigious awards and was featured in Architecture magazine. Time magazine called it the "library of the future." The Hunt Library won the ALA Library Interior Design Award and the AIA Education Facility Design Award. New development began in the North Shore condominium community. The hotel opened with 90 king-sized rooms, 70 double-double rooms, 3 suites, a bar, a full-service restaurant, and eight meeting rooms. The university announced a partnership between the College of Textiles, the Poole College of Management, and the VF Corporation to support student development and advance apparel and textiles innovation.